How Much Of You Does The Federal Government Own? R.J. Rushdoony: 00:01 How much of you does the federal government own? 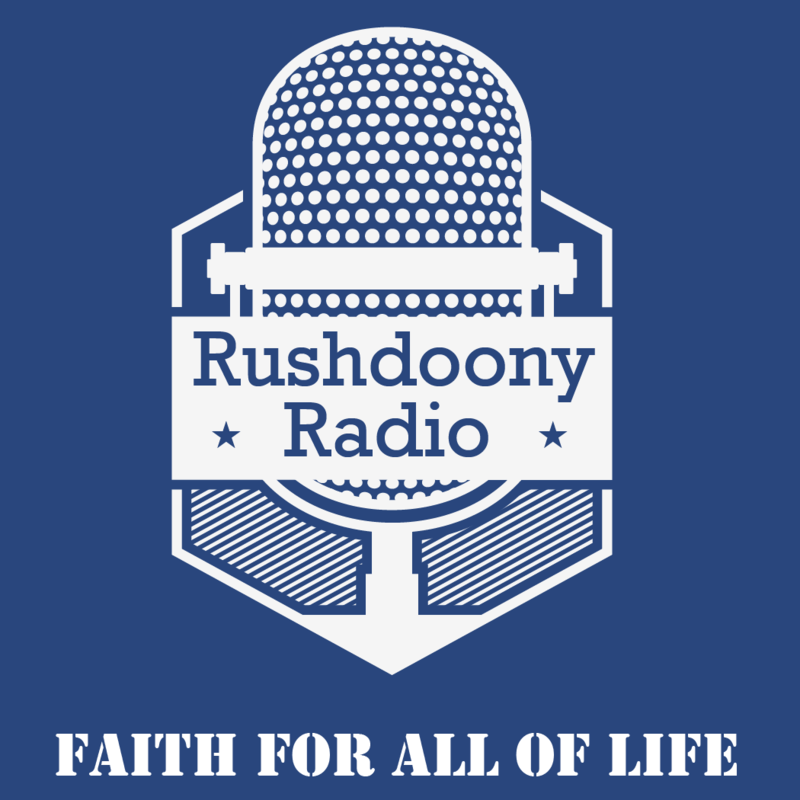 R.J. Rushdoony: 00:05 This is R.J. Rushdoony with a report on our threatened freedom. R.J. Rushdoony: 00:08 One of the interesting facts about the United States is the amount of land owned by the federal government. In Alaska, 90% of the state is federally owned. In Nevada it is 87%. Utah, 65%. Idaho, 64%. Oregon, 52%. Arizona, 45%. California, 44%. And so on down the line. Supposedly these lands are kept in trust for the people, but in reality, private conservation groups and corporations have done and can do a better job of it. But this is not all. We need to ask another question. R.J. Rushdoony: 00:51 How much of us do the federal, state and local agencies of civil government own? About five to 10 years ago we were told that between 40 to 45% of our income went for direct and hidden taxes. Some now place that estimate at 50 to 60%. Whichever figure is right, it constitutes a very big share of our income. R.J. Rushdoony: 01:16 Slavery is defined as a property right in the labor of other man. If you own a slave, it means that he must work for you. Very obviously, through taxation, civil government now owns about half of us, and this means that we are half slaves, whatever else we may call ourselves. R.J. Rushdoony: 01:38 When the federal government, more than a century ago, abolished slavery, it abolished only the private ownership of slaves, not public ownership. In fact, all over the world, slavery is more common than ever before. In the communist block, all the people are salves of the state. In the democracies, we are half slaves and half free. R.J. Rushdoony: 02:01 What we need is an emancipation proclamation from slavery to the modern state. You can be sure that neither Washington, DC nor the State House will issue any such charter of freedom on its own. Only if we the people compel them to do so will the various branches of civil government disgorge their powers over us. We may think we belong to ourselves, our family, our church, or our community, but with every paycheck we are reminded that we belong to Washington, DC. And before we see our paycheck, big brother has put his bite on us. R.J. Rushdoony: 02:42 Plain fact is that the modern state owns too much of us. Instead of being our servant, it has become our master, and we have been steadily stripped of our assets and our freedom. Very definitely it is time for a change. To gain that change we must be changed. As Paul says, where the spirit of the Lord is, there is liberty. R.J. Rushdoony: 03:10 This has been R.J. Rushdoony with a report on our threatened freedom.